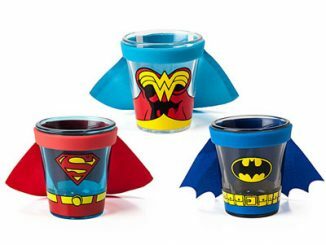 You’ve seen the Batman and Superman Caped Pint Glasses, but sometimes pint sized glasses aren’t big enough to satisfy supersized fans. 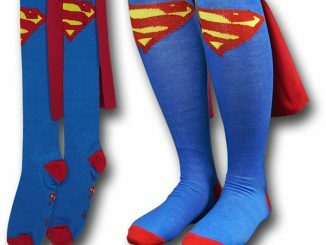 That’s where the Batman & Superman Caped Costume Mugs With Handles come in handy. 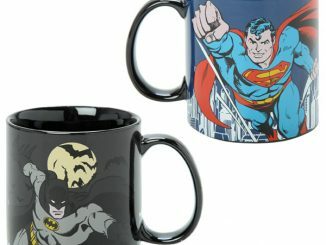 Whether you prefer chasing villains in Gotham City with Batman or flying through the skies with the Man of Steel, these large mugs will quench your superhero sized thirst after a long day. 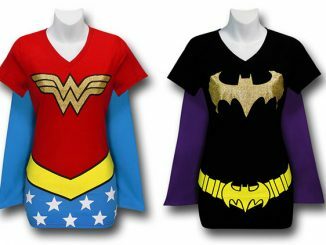 Both mugs feature handles for secure holding and themed capes and painted authentic looking costumes. 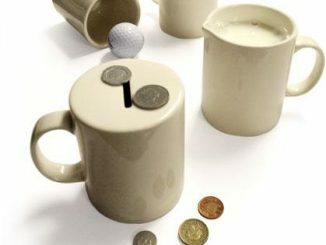 For easy cleaning you can remove the capes, but these stylish mugs should be hand washed. 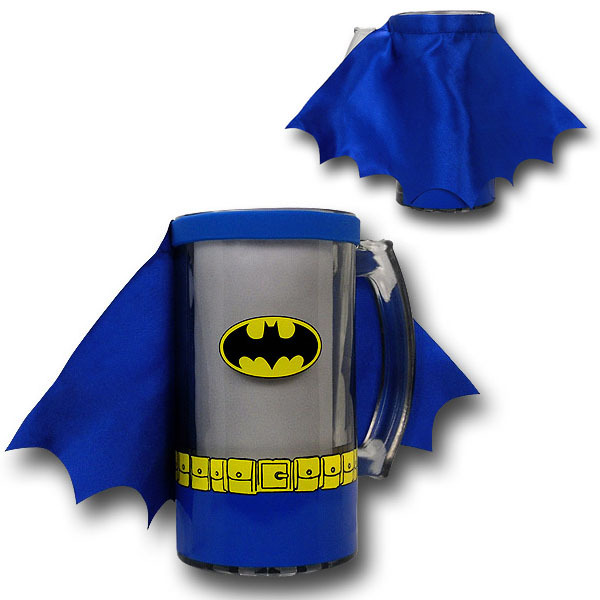 This solid Batman Caped Costume Mug With Handle will protect your glassware with dedicated fervor. 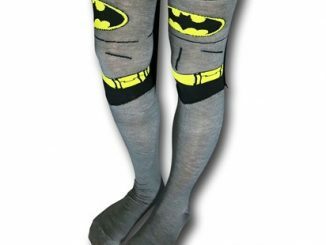 A durable handle, a costume like design (belt and symbol), and a detachable cape (for washing purposes) give this Batman Caped Costume Mug With Handle the look of the Dark Knight himself! 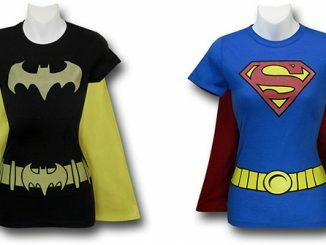 Hey, everybody loves the Caped Crusader. 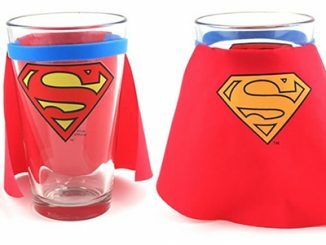 You don’t want to get into a drinking contest with Superman. You know he’s practically invincible right? 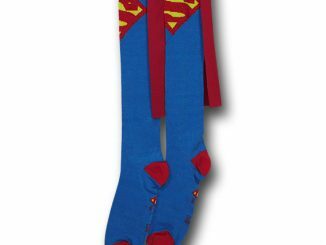 You would die from poisoning long before Superman even felt mildly tipsy. You see, that Superman…he’s drunk on yellow sunlight! That stuff is like 9000 proof to Kryptonians…I think. 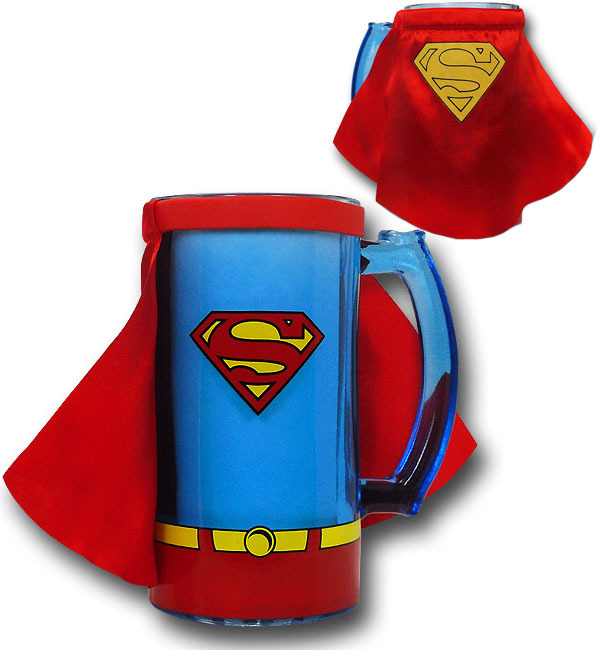 Any-who, this great Superman Caped Costume Mug With Handle is based on DC Comics Man of Steel and shares many characteristics. 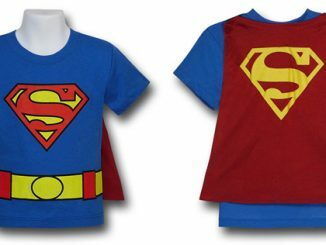 The S symbol, the yellow belt and red pants, and the always required red cape! Awesome! 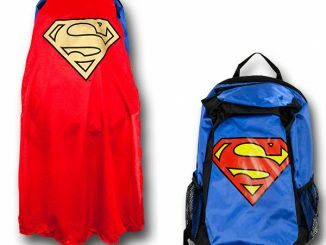 The cape is detachable for easy cleaning, and the solid build of this mug would make even General Zod proud. 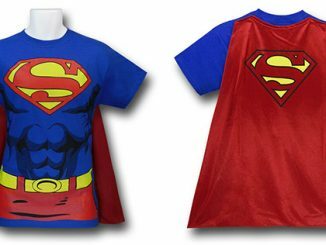 You can purchase the Batman Caped Costume Mug with Handle and the Superman Caped Costume Mug with Handle at Supperherostuff.com for $21.99.